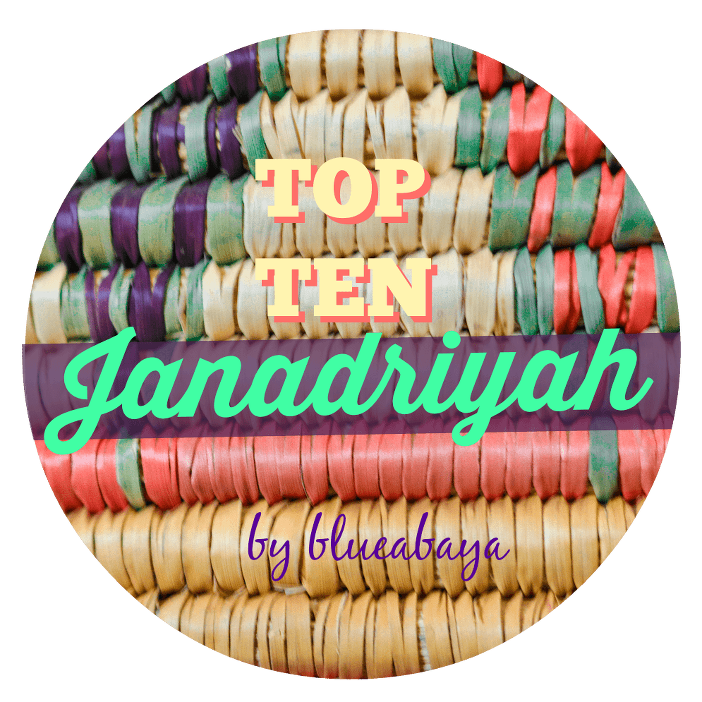 “Top Ten Things To Do At Janadriyah Festival” is a quick guide and tips on the most interesting things to do in the festival area. 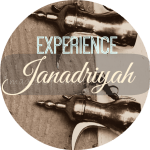 The annually held Cultural Heritage festival Janadriyah is undeniably one of the most important cultural events of the year and a must visit for all expats in the Kingdom of Saudi-Arabia. This is when you can immerse yourself in the Saudi culture, enjoying what the real Saudi-Arabia and the friendly hospitable Saudi people have to offer. The vast festival area may seem daunting for first time visitors; there seems to be endless places to see and it might be hard to choose which areas to go to! 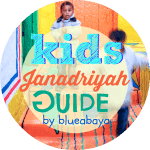 Check out new guide for 2018 festival on Blue Abaya: Janadriyah 2018: Complete Guide for expats. All info about the location, opening hours, activities and more can be found in this guide. 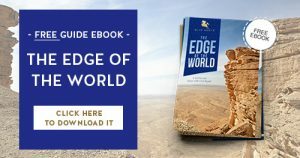 Click here to go to the 2018 guide. 1. Sample the delicious foods of the Makkah area. Try the special drink Subiya, the mouth watering Kabab meero, special Saudi dumplings and the flat bread made on the fire. Enjoy your foods while watching a traditional Makkawi wedding party at the nearby auditorium. 2. Watch the famous Al-Baha region dances. Get carried away by the catchy quick paced rhythm of the drums and watch in amazement as the dancers leap high in the air with their daggers in hand. This area gathers the most spectators for a reason! 3. Take a camel ride at the Qassim region square. Children will especially enjoy this activity while parents can sample the tasty fresh Kleja bread and mammoul from the nearby Qassim souk. multitude of colors, fresh herbs and spices, colorful woven baskets, a wide selection of dates, gold jewellery and antiques. 5. See the hunting falcons at the Eastern Province area. The bravest visitors can get a chance to hold one too. 6. Get in the festive mood by decorating yourself with a necklace made of Jasmine flowers at the Jazan region marketplace. Men can join in on the fashion craze and wear a headband of flowers like the ‘Flower Men’ of Saudi Arabia do. 7. Discover the traditional treasures on display at the Najran area. Here you can find and purchase the traditional women’s dresses, unique Bedouin jewelry, pottery and wooden handicrafts all made by skillful Saudi craftsmen. 8. Wander around the Hail region museums and discover how people used to live in a traditional mud house. 9. For the best views of the Janadriyah Village, climb the Abha house up to the third floor. Don’t be discouraged by the rather unexciting appearance of the house from outside; once you step in you will be blown away by the colorful interior. 10. Get quick henna tattoos on your hands at the women’s only building while admiring the talented Saudi women weaving carpets from goat hair. P.S. The woman in the images below is a Finnish friend of mine who enjoys posing in these images for Blue Abaya. She loves the Janadriyah festival as much as I do! 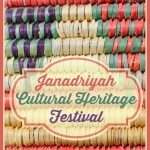 Follow Blue Abaya on Facebook for more updates on the Janadriyah festival! Mash´Allah! I found your beautiful blog now and I am your new follower. I loved the pictures and the cultural life, too. It will be a pleasure if you visit my blog. And if you let a comment there, it will make my day more beautiful. Sometimes I write in english and in german. But I think it is easy to translate my texts from portuguese into english, if you be curious about them. Well, best wishes for you and family.